Congress Member of Parliament (MP) Satyavrat Chaturvedi today created a scene at a function attended by President Ram Nath Kovind after an official did not acknowledge the contributions of a parliamentary panel in the growth and expansion of Hindi. New Delhi: Congress Member of Parliament (MP) Satyavrat Chaturvedi today created a scene at a function attended by President Ram Nath Kovind after an official did not acknowledge the contributions of a parliamentary panel in the growth and expansion of Hindi. Mr Chaturvedi stood up to express his displeasure when the Secretary, Department of Official Language, Prabhas Kumar Jha was delivering the vote of thanks at the Hindi Divas function, which was attended by the President, Home Minister Rajnath Singh and his deputies, Kiren Rijiju and Hansraj Ahir. "Mr secretary, you have thanked everyone but the MPs belonging to the parliamentary committee on official language. We have visited the whole country and did our best for the growth and expansion of Hindi. But you just chose to ignore us," Mr Chaturvedi said. Around 1,000 people attended the event held at the Vigyan Bhavan. Mr Jha tried to justify his speech and said Mr Rijiju had already mentioned the contribution of the parliamentary panel and appreciated the role of the Members of Parliament in his welcome address. 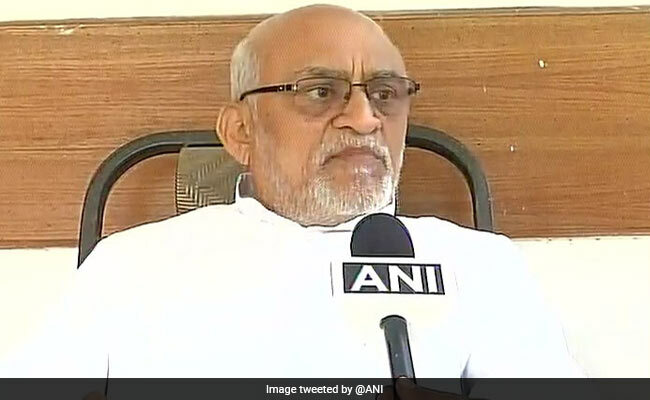 Though the Secretary apologised, the 67-year-old Rajya Sabha member from Madhya Pradesh continued to express his unhappiness. The President, Home Minister and junior ministers did not react and left the dais soon after the national anthem that followed Mr Jha's speech. Mr Chaturvedi later told reporters that he tried to bring an important issue to the notice of the home minister and expects action from him.